Monsters, Inc. saw a 3D re-release in theaters on December 19, 2012, followed by the release of its prequel, Monsters University, on June 21, 2013. The parallel city of Monstropolis is inhabited by monsters and powered by the screams of children in the human world. 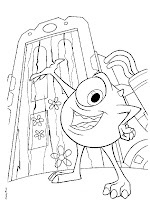 At the Monsters, Inc. factory, employees called "Scarers" venture into children's bedrooms to scare them and collect their screams, using closet doors as portals. This is considered a dangerous task since the monsters believe children to be toxic and that touching them would be fatal. However, production is falling as children are becoming harder to scare and the company chairman Henry J. Waternoose III is determined to find a solution. 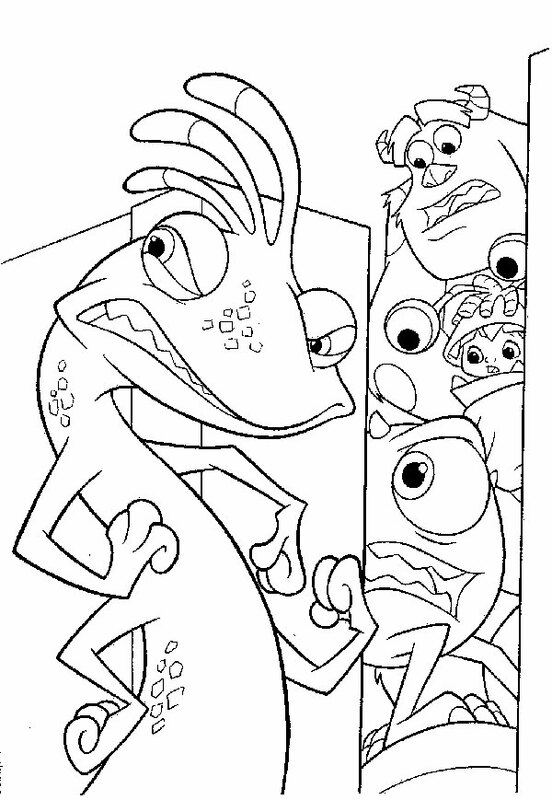 The top Scarer is James P. "Sulley" Sullivan, who lives with his assistant Mike Wazowski and has a rivalry with the ever-determined chameleon-like monster Randall Boggs. During an ordinary day's work on the "Scarefloor", another Scarer accidentally brings a child's sock into the factory, causing the Children Detection Agency (CDA) to arrive and cleanse him. Mike is harassed by Roz the clerk for never completing his paperwork on time. While working late at the factory, Sulley discovers that Randall left an activated door on the Scarefloor and a young girl has entered the factory, much to Sulley's horror. After a few failed attempts to put her back, he places her in his bag and hides when Randall arrives and returns the door to storage. Mike is at a restaurant on a date with his girlfriend Celia when Sulley comes to him for help, but chaos erupts when the girl is discovered in the restaurant, and the CDA is called. 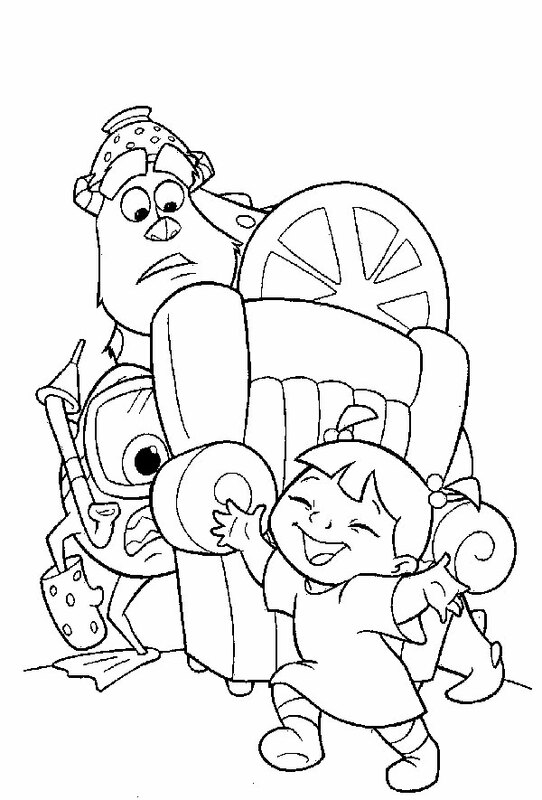 Sulley and Mike escape the CDA and take the girl home, discovering that she is not toxic after all. Sulley quickly grows attached to the girl and names her "Boo". The next day, they smuggle her into the factory and Mike attempts to return her through her door. 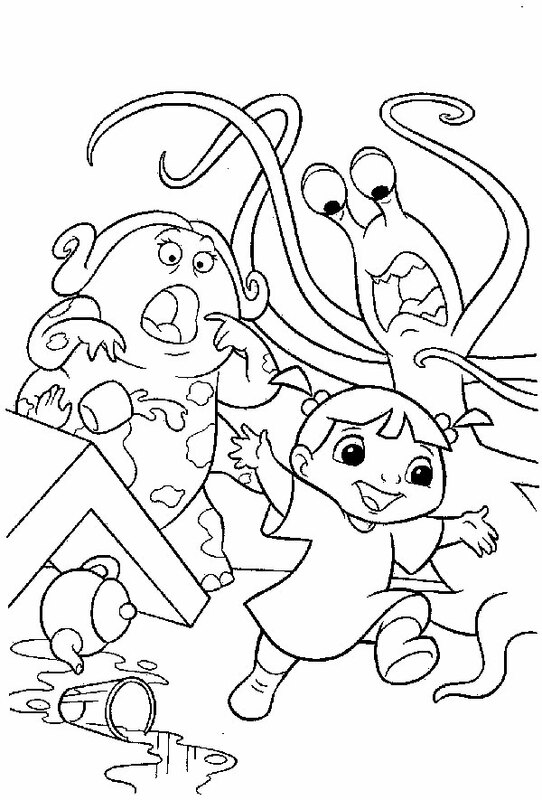 Randall tries to kidnap Boo, but kidnaps Mike by mistake. In the basement, Randall reveals to Mike he has built a torture machine ("Scream Extractor") to extract children's screams, which would make the company's current tactics redundant. Randall straps Mike to the chair for experimentation but Sulley stops Randall from experimenting the machine on Mike and reports him to Waternoose. However, Waternoose is revealed to be in allegiance with Randall and he exiles Mike and Sulley to the Himalayas. The two are taken in by the Abominable Snowman, who tells them they can return to the factory through the nearby village. Sulley heads out, but Mike refuses to follow him out of frustration. 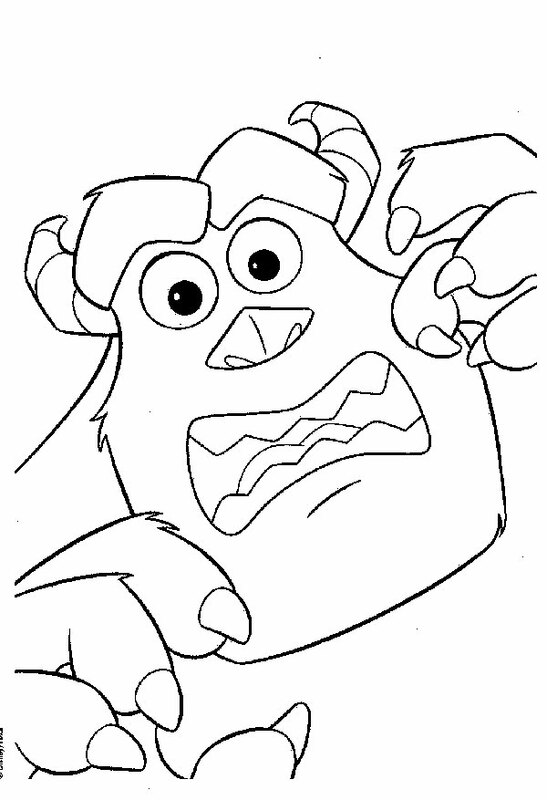 Sulley returns to the factory and rescues Boo from the Scream Extractor. Mike returns to apologise to Sulley and inadvertently helps Sulley defeat Randall in a fight. Randall pursues Mike and Sulley as they race to the factory and ride on the doors heading into storage, taking them into a giant vault where millions of closet doors are stored. Boo's laughter activates the doors and allows the chase to pass in and out of the human world. After Boo stops Randall from pushing Sulley out of an open door, Sulley and Mike trap him in the human world using a door to a trailer park, where he is mistaken for an alligator and beaten up by a pair of hillbillies. They are finally able to access Boo's door, but Waternoose and the CDA send it back to the Scarefloor. 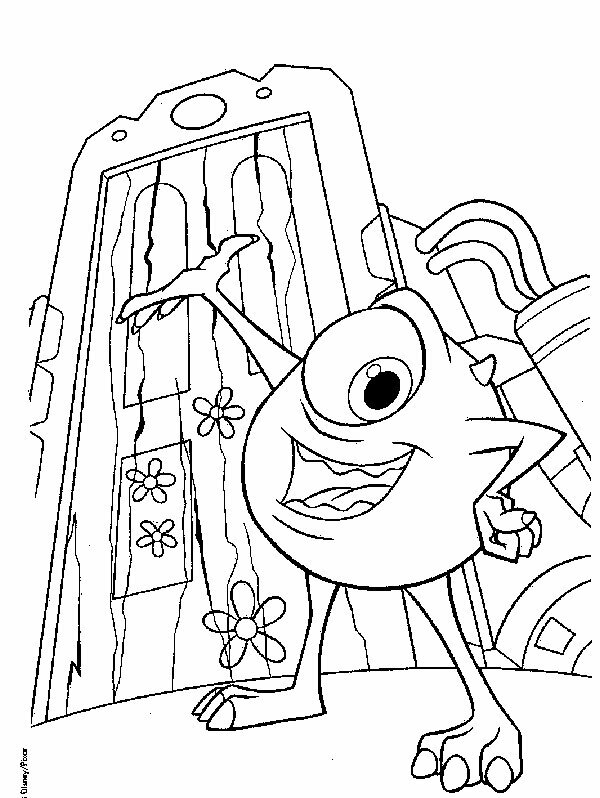 Mike distracts the CDA, while Sulley escapes with Boo and her door while Waternoose follows. Waternoose is tricked into confessing his plan to kidnap children in the simulation bedroom and is arrested by the CDA. The CDA's leader is revealed to be Roz, who has been undercover for years trying to prove there was a scandal at Monsters Inc. Sulley and Mike say goodbye to Boo and return her home; on Roz’s orders Boo’s door is then destroyed. Sulley becomes the new chairman of Monsters Inc., and thanks to his experience with Boo, he comes up with a plan to end the company's energy crisis. Months later, Sulley's leadership has changed the company's workload. The monsters now enter children's bedrooms to entertain them, since laughter is ten times more powerful than screams. Mike takes Sulley aside, revealing he has almost rebuilt Boo's door, requiring only one more piece which Sulley took as a memento. Sulley enters and reunites with Boo.